For too long, TB patients and care providers have been fighting a protracted battle with antiquated, inefficient tools, diagnostics, vaccines and drug regimens. We simply cannot end the TB epidemic with our current tools and approaches. We need to invest in science, develop new tools, and implement the best tools we have today. To ensure impact, the TB research agenda must be led by those who are most affected. Never bring a knife to a gunfight, they say. And yet, we, the global tuberculosis (TB) community have been fighting a long battle with sticks and stones. And we have paid a heavy price. In 2016, there were 10.4 million estimated new TB cases, with over 1.7 million deaths. TB is now the leading infectious killer of humanity. Thankfully, TB is now getting the political attention that it deserves. In November 2017, a WHO Global Ministerial Conference on TB was held in Moscow, culminating in the Moscow Declaration to End TB. On Sept. 26, 2018, the United Nations General Assembly (UNGA) will hold the first-ever high-level meeting on TB. On June 4, 2018, the UN organized an interactive civil society hearing, in preparation of the UNGA high-level meeting, and I was invited to speak on a panel on innovations to end TB. Here is the gist of what I covered in my speech. If we can find money for cancer, HIV or Ebola, we can find it for TB. 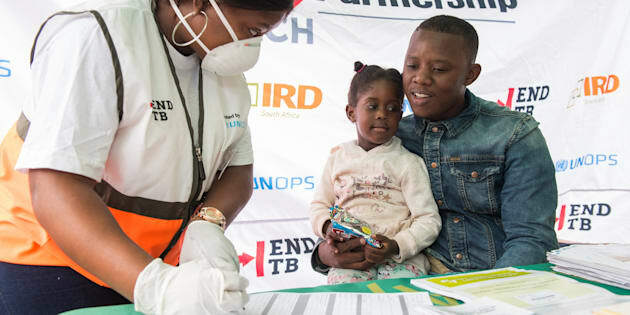 For too long, TB patients and care providers have been fighting a protracted battle with antiquated, inefficient tools, including an insensitive diagnostic (i.e. sputum microscopy), a low-efficacy vaccine (i.e. BCG), and drug regimens that have hardly changed for decades. Take drug-resistant TB, for example. Patients have to endure a prolonged (up to two years) and toxic treatment with multiple drugs (more than 14,000 pills, as tall as a 30-storey building, if you stacked the pills end to end! ), including painful, daily injections for months. At the of this painful therapy, one in two patients with drug-resistant TB will not survive. So, I strongly agree with the five Key Asks put out by the TB community. Affordable point-of-care TB diagnostics that can identify new infections and tests for drug resistance by 2025. Yes, developing new tools is going to cost money — an additional US$1.3 billion per year. But if we can find money for cancer, HIV or Ebola, we can find it for TB. How can we end TB, if we keep settling for less? If each country spent 0.1 per cent of its annual Gross Domestic Expenditure on Research and Development (GERD) on TB research, the funding gap can be bridged. Inaction will be costly. The Lancet TB Commission warns us that even if we extended treatment to 90 per cent of people with TB and cured 90 per cent, nearly 1 million avoidable deaths will occur with current tools. While we wait for new tools, we must scale-up the best tools we already have. Failure to do so endangers patients and communities. And scale-up of the best tools we have today is the best way to prime the pump, enhance uptake of new tools, and boost confidence of product developers. But research is not just product development. We need TB research across the entire spectrum. From basic science that can help identify new biomarkers, vaccine and drug targets, to clinical research to assess their efficacy, to implementation and behavioural research that can help us find missing patients and optimize impact of new tools. And science is not just about researchers. Students play a vital role. We need an army of young scientists to join the fight against TB. So, the TB community must partner with universities. Firstly, studies on the cascade of TB care show that diagnosis is the weakest link in the cascade. So, we must find ways to address the huge diagnostic gap and detect more people with TB and drug-resistance. Secondly, patient pathways analyses show that most patients with TB seek care from primary care providers, including informal providers, pharmacists, traditional healers and private doctors. Because TB is a vertical program in many settings, we have not done a good job of engaging with primary care providers. We need implementation science to ensure that TB care is an integral part of Universal Health Coverage. Thirdly, TB patients don't look for tools. They look for a complete solution to their problem. They are currently not getting it. Poor quality of care is a big reason why we lose 1.7 million people each year. But we are too fixated on "coverage" rather than "quality" of services. Without quality, coverage may not matter. We must empower all national TB programs to adopt the science of quality improvement. The first group is TB researchers and care providers in low and middle income countries. They deal with the brunt of the epidemic, but are not leading the agenda. Instead, the agenda has been led and funded mostly by a few high-income countries. Today, as global health retreats in a nationalist era, we cannot depend on a few wealthy countries with low TB incidence to support all the research. High-burden countries must step up and lead the TB agenda. In particular, we must call on BRICS countries to invest in TB research, commensurate with their disease burden and their growing economic and scientific powers. The second group is TB patients and advocates. To paraphrase Abhay Bang, an inspiring researcher from India, most research is done on the people, and some research is done for the people. Rarely, research is done with the people. This definitely applies to TB research, where patients are rarely engaged. To change this culture, we must create space for TB survivors and advocates to speak at scientific conferences and publish in mainstream journals. We must seek their help designing and conducting studies, and empower them to serve on ethics and policy committees. As we have seen with the HIV epidemic, when patients advocate for R&D, they are invariably more powerful and impactful than scientists.